After studying painting, Jessica Jackson Hutchins (b. 1971, Chicago) became disenchanted with the medium and its fraught history and began working with papier-mâché and clay. She continually draws from history, literature, and personal experiences for inspiration and weaves these narratives into her work. Hutchins’s sculptural works combine found objects with her own ceramics, oftentimes using one as a pedestal for the other. 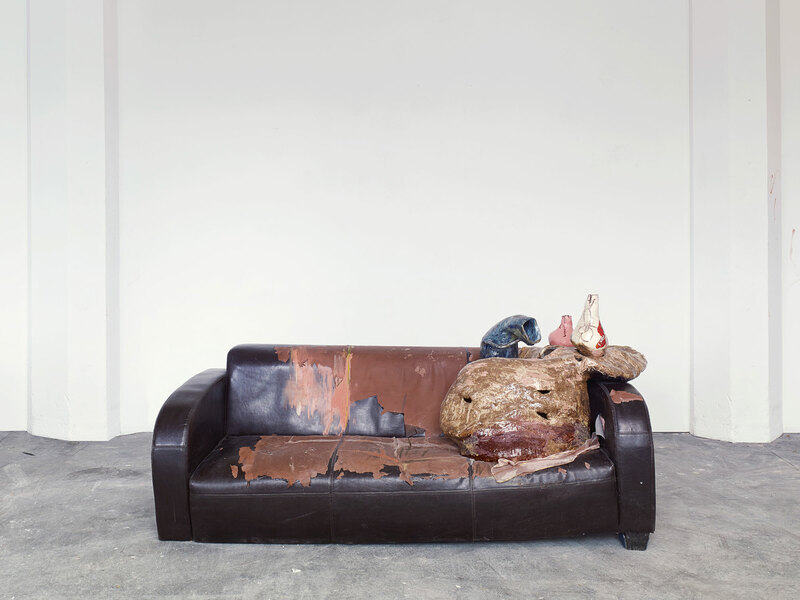 Though sculptural, her works evoke still-life paintings, in which ordinary items are elevated to contemplative objects. The Hammer will present Carpaccio (2013), created for the 55th Venice Biennale, The Encyclopedic Palace, alongside the painting Two Ties (2014). Jessica Jackson Hutchins was born in Chicago in 1971. She received her MFA from The School of the Art Institute of Chicago in 1999. 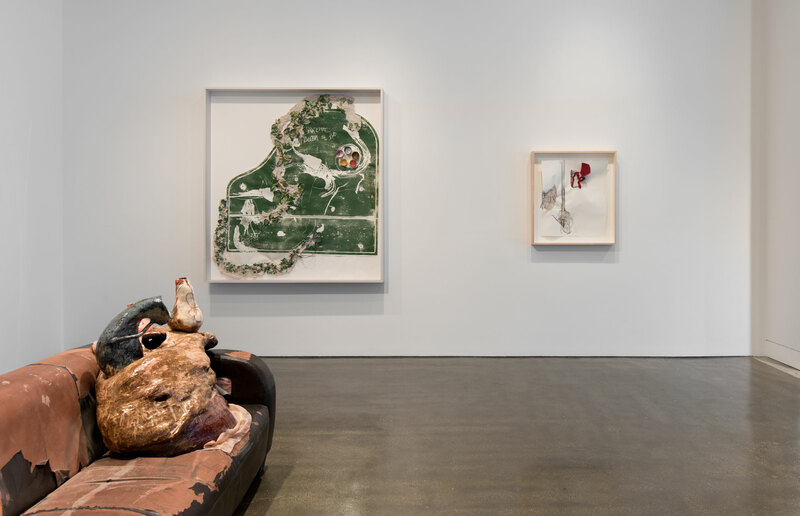 Since her first exhibition in New York in 2004, Hutchins has exhibited throughout the U.S. and abroad, at institutions such as the Whitney Museum of American Art, New York (2010); Institute for Contemporary Art, Boston (2011); the Eli and Edythe Broad Art Museum, East Lansing, MI (2013); the Hepworth Wakefield Museum, UK (2013); and The Aldrich Contemporary Art Museum, Ridgefield, CT (2014). 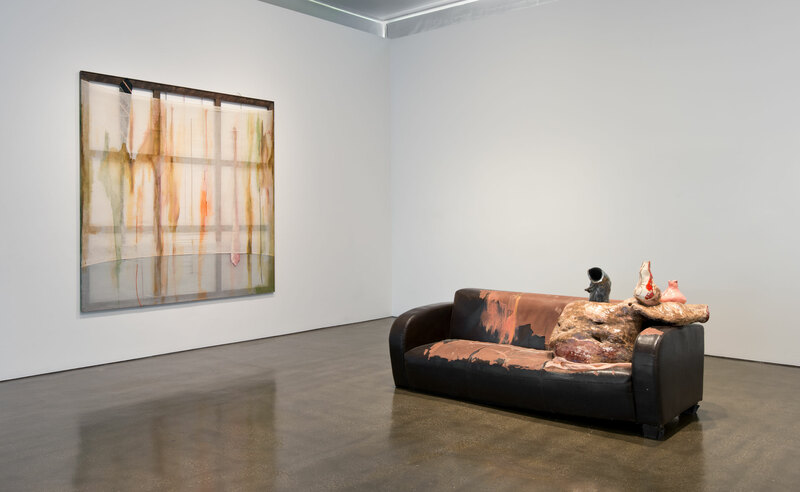 In 2013, a monograph of the artist, Jessica Jackson Hutchins: Everything Erblaut, was published on the occasion of her exhibition at the Hepworth Wakefield Museum, UK. The artist lives and works in Portland, OR.